With dramatic, vivid detail, the poetic masterpiece of Nahum shows that God refuses to abandon his rebellious people when they stray into destructive pathsinstead responding to spiritual adultery with love and power. The application to our own lives may hit close to home, but there is also abundant gospel hope: Jesus' severe compassion leads him to relentlessly pursue his people for their salvation. 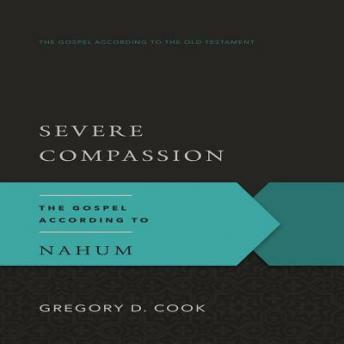 As he explores the prophet's message, Gregory Cook aids our understanding of Nahum with historical background on its cultural references, literary allusions, and poetic devices, making this book a useful resource for pastors and Bible study leaders as well as laypeople.